Solar wind flowing from this southern coronal hole should reach Earth on Jan. 26-27. Credit: SDO/AIA. QUIET SUNSPOTS: There are four sunspots visible on the Earthside of the sun. None of them is actively flaring. NOAA forecasters put the odds of an M-class solar flare today at no more than 5%. Solar flare alerts: text, voice. A team of astronomers led by Martin Masek took the picture using the remotely-controlled F(/Ph)otometric Robotic Atmospheric Monitor--"FRAM" for short. 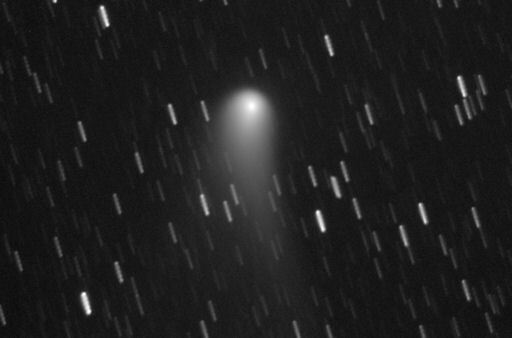 "The stars are trailed in this 9x120s exposure, which tracked the comet," explains Masel. FALLING FOR AURORAS: A stream of solar wind flowing from a coronal hole is expected to hit Earth's magnetic field on Jan. 25-27. In response, NOAA forecasters estimate a 25% to 40% chance of polar geomagnetic storms. High-latitude aky watchers should be alert for auroras in the nights ahead. Aurora alerts: text, voice. 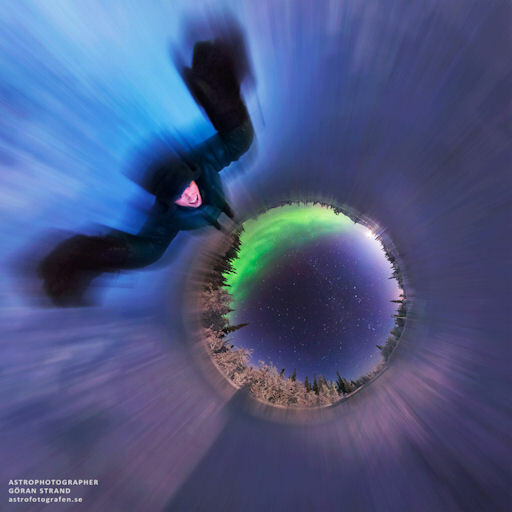 "I assembled this 360-degree image from photos I took during an aurora display on Jan. 17th," says Strand. "The joy of seeing an aurora dancing in the sky is the same joyful feeling as sledding down a slope." On January 25, 2013 there were potentially hazardous asteroids.